The PicoKeyer-RM has undergone a MAJOR update. The new chip requires no extra parts, but adds many new and improved features -- including the ability to add an analog speed control pot. The command menu and message embedded commands are greatly improved as well. Best of all, the price is the same! 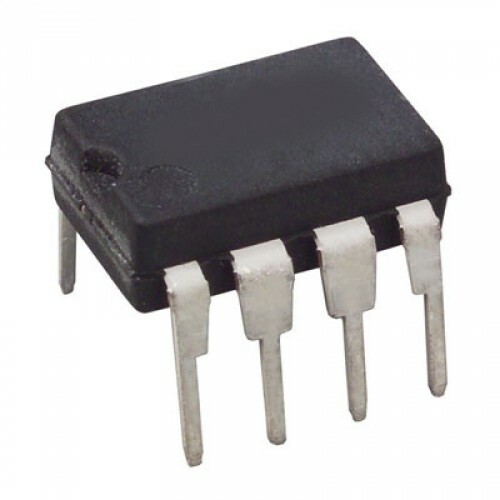 NOTE: This chip is specifically for the Rock-Mite and Hi-Mite transceivers! It is NOT a replacement for the chip in your PicoKeyer or PicoKeyer-Plus. The PicoKeyer is an advanced, super low power iambic keyer with a long list of standard features. Low current operation - typical sleep current well under .1µA, only 1-2mA when keying. Direct replacement for your Rock-Mite's or Hi-Mite's original keyer chip, no modification to your Rock/HiMite is needed. Speed adjustable from 5 to 45WPM from the paddle - or add an optional speed control pot! Beacon mode! No switch or jumper required for beacon mode, just insert a special prosign character into your message. Great for calling CQ! Message pause with auto-resume - You can insert a pause to manually send RST or other information in the middle of a saved message. Auto-incrementing, resettable QSO/serial number can be inserted into your messages for contests. Send them with or without cut numbers (0 and 9 only) and leading zeros! Greatly improved tuneup mode for hands-free steady carrier or 50% duty cycle pulsing. Two message memories hold up to 100 characters each. Message memories can be chained to make one 199-character memory. Paddle switching - effortlessly select left or right handed operation without switching wires or turning the key upside down. All settings and message memory is maintained in non-volatile memory, even with power off. "Factory Reset" option to restore all default settings to your PicoKeyer-RM. The PicoKeyer-RM uses FLASH and EEPROM memory to store all settings and message memory, meaning NO backup batteries and NO lost settings. Complete documentation on CD-ROM is included. A PDF copy of the documentation can be downloaded by clicking here. What's a Rock-Mite? Only the coolest little rock-bound, single band QRP kit to come along in a while. Originally from Dave Benson K1SWL and Small Wonder Labs, but now available from Rex (W1REX) at QRPME!